Dr. Lyon is a Philadelphia-area native, having grown up in Birchrunville, just west of the city. She is a graduate of Hamilton College in snowy Clinton, NY and the University of Pennsylvania's School of Veterinary Medicine. Her clinical interests include primary care small animal medicine, preventive healthcare, infectious disease and pain management. In addition to practicing companion animal medicine with a focus on preventive health care and owner education for over 10 years at various well-established practices in the area, she was a Field Service Veterinarian for the animal health company, Merial, serving as a resource on canine and feline infectious, including vector-borne, diseases to veterinarians and veterinary school faculty and students. She is passionate about preventing illness and injury, improving quality of life and addressing acute and chronic pain for her patients. She is equally passionate about client education. She is a member of the American Veterinary Medical Association (AVMA), the International Veterinary Academy of Pain Management (IVAPM) and Phi Zeta Veterinary Medicine Honor Society. Locally, she belongs to the Pennsylvania Veterinary Medical Association (PVMA) and the Delaware Valley Academy of Veterinary Medicine (DVAVM). Her enthusiasm for discussing ideas and approaches to various Primary Care medicine topics has led her to be invited to speak at conferences such as the Penn Annual Conference (2017), on radio shows such as Your Pet Matters (periodically since 2015) and to be involved with local volunteer opportunities, e.g. the recent Pennsylvania Veterinary Foundation's Share the Love event (a free veterinary care event for the pets of senior citizens in need in Chester County). 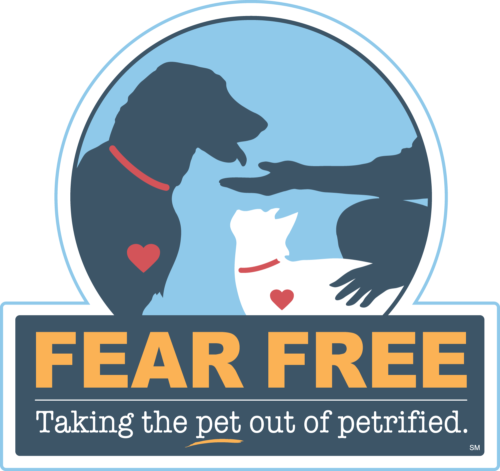 She is a Fear Free Certified Practitioner. When not traveling the countryside, attempting to stamp out disease and mitigate pain and suffering, she enjoys spending time with her two pasture potato, geriatric horses, Cana and Cody, superstar, also geriatric, dog, Sukey (pictured), and husband, Jeff, who is not geriatric, rescued or a pasture potato, but is a superstar. She likes to play platform tennis, as well as hop on her bicycle, whenever possible.